Sefiani Communications Group is pleased to announce effective 2 July 2018, its founder and Managing Director Robyn Sefiani will move to the new role of Executive Chair and Reputation Counsel. Justin Clark has been named Managing Director of the group which comprises corporate and financial agency Sefiani and consumer and challenger brand agency Kite. “We have big plans ahead as Sefiani enters its twentieth year of successful operations and the time is right for this seamless evolution of leadership. I’m thrilled to be passing the MD baton to Justin, who is a motivating leader and a skilled, strategic communicator. 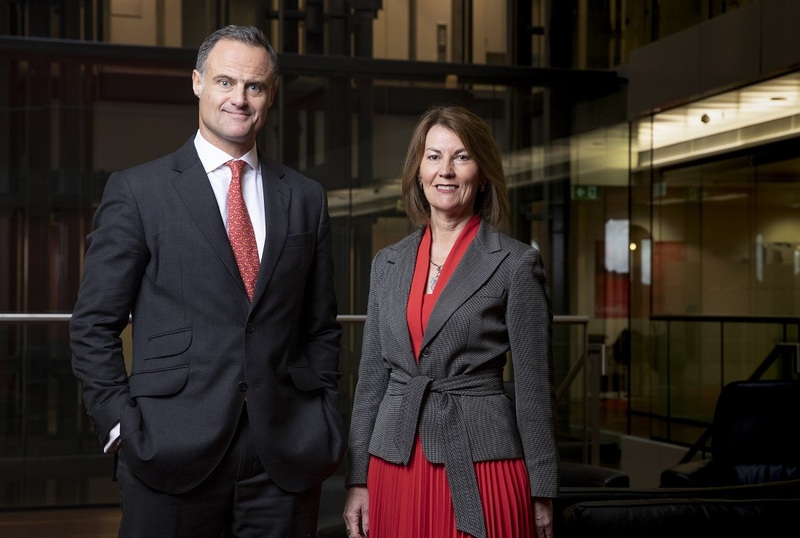 I look forward to working closely with Justin and our senior leadership team as we continue to broaden and deepen our service offering to help clients solve business challenges and seize opportunities in corporate and consumer sectors,” said Robyn. In her new role, Robyn will focus on expanding Sefiani’s market-leading position in reputation, issues and crisis management while continuing to spearhead the firm’s strategic growth plan. She will stay closely involved with clients, manage global affiliate relationships for business development, expand Sefiani’s Senior Advisory Panel and mentor colleagues. As Managing Director, Justin will lead agency operations and development of innovative services, partnerships and specialty practice areas. He will also continue to lead Sefiani’s Financial and Government practice which recorded significant growth in the past year. Justin joined Sefiani in early 2017 after senior leadership roles with Kreab Gavin Anderson and FTI Consulting where he was a Managing Director, and before that, communication leadership roles with financial services organisations in the UK and Europe. In the past year, Sefiani Communications Group was the most-awarded communications firm in Australia, winning 2018 Mid-Sized Agency of the Year in the Mumbrella CommsCon Awards and named a Top 10 Fast Growth Consultancy Asia-Pacific in the Holmes Report Global PR Agency Rankings. The agency also won Best Government Relations Campaign and Agency PR Professional of the Year in the CommsCon Awards; and Best Issues Management, Best Crisis Management, Best Integrated Marketing Campaign, Best Pro Bono Campaign and National Campaign of the Year in the PRIA Golden Target Awards. Clients of the agency include EY, Rest, Rothschild, McGrathNicol, HCF, Munich Re, Allen & Overy, Hotels.com, Landbridge Group, Northern Trust, Hammons Holdings, WorldRemit, BaptistCare, Everlight, volt Bank and Foodbank, to name a few.